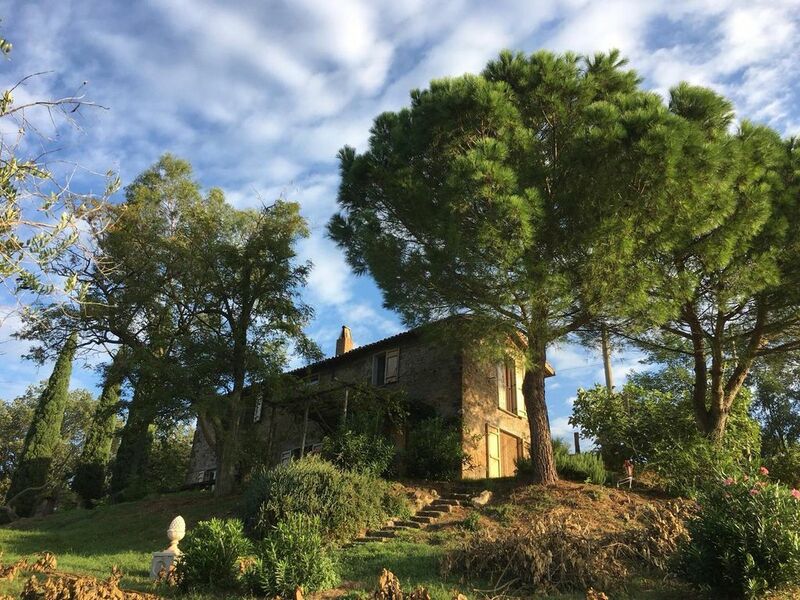 Spacious and light house (2-8 people) in the hills around the Lago di Bolsena. casaamentamaria is tough, but luxuriously renovated, house beautiful countryside between Rome and Florence. The house has several terraces, a private pool, a sloping garden and a picturesque village 2 km away. Inside there is a spacious hall with loft, a large kitchen with fridge and freezer, microwave, washing machine, a living room with a 2 p. sofa bed. Upstairs are the bedrooms (2 and 4 people) and there is a bathroom. Attached to the house is also a second outdoor bathroom, very practical when using the pool. The house is comfortable and tastefully decorated. Outside the rental season can be used by writers and artists as Artist in Residence. Cultural and historical region is particularly interesting because of the Etruscans. But also Civita di Bagnoregio, Siena, Pisa, Assisi, Perugia and Orvieto are easily accessible. Day trips to Rome also doable. * Civita di Bagnoregio is 8 km away and definitely worth it. Swim in Lake Bolsena and enjoy the beautiful nature on the hills around the lake. In trattorias and pizzerias, the delicious food.